SNC-Lavalin approached Quebec’s attorney-general last fall to enlist her help securing a deferred prosecution agreement (DPA) from the federal government. This was part of a broader effort by the company to get the newly elected Coalition Avenir Québec government to take up its cause with Ottawa. The senior executive in charge of SNC-Lavalin’s lobbying strategy, Erik Ryan, had a phone conversation on Nov. 9 with Justice Minister Sonia LeBel’s chief of staff, Marc-André Ross. During that conversation, Ryan said he wanted to meet with LeBel to discuss a DPA, which would allow SNC-Lavalin to avoid prosecution on federal fraud and bribery charges. The account of the conversation was provided to CBC News by Lebel’s office. “We find it important to be transparent and to communicate this [information],” said spokesperson Nicky Cayer. LeBel’s office did not follow up on SNC-Lavalin’s request for help and has not had further contact with the company, Cayer said. The November phone call came as LeBel’s federal counterpart, then justice minister Jody Wilson-Raybould, was also being urged to offer a DPA to SNC-Lavalin. Wilson-Raybould was resisting attempts by Prime Minister Justin Trudeau, his staff, the Clerk of the Privy Council and the finance minister to get her to overturn a decision by federal prosecutors to prosecute SNC-Lavalin. Under a DPA, the company would be able to admit wrongdoing and pay a fine in exchange for avoiding a trial on charges that it bribed Libyan officials to secure lucrative engineering contracts between 2001 and 2011. 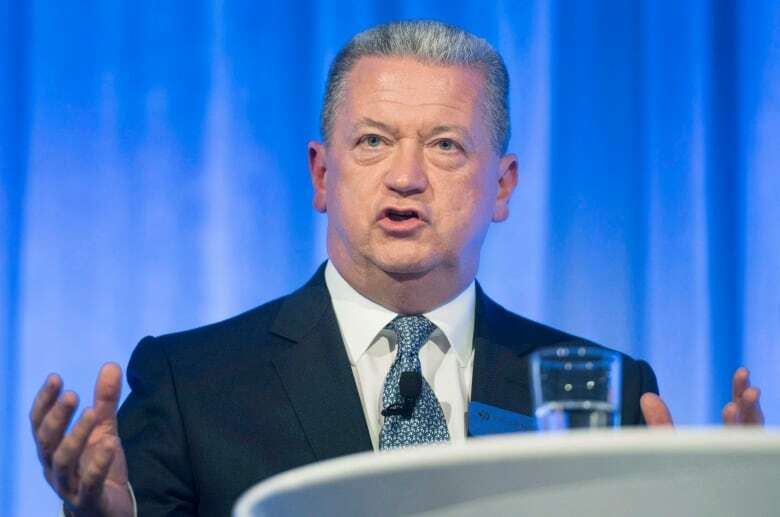 A guilty verdict at trial could lead to SNC-Lavalin being barred from federal contracts for 10 years, which it says would be devastating for its business operations. Wilson-Raybould said she was stripped of the justice portfolio earlier this year because of her refusal to grant the DPA. Trudeau’s former principal secretary, Gerald Butts, denies that was the case. In early September, federal prosecutors informed SNC-Lavalin’s lawyers that a DPA was not going to be an option. After pleading with prosecutors for another month, the company made the decision public. But it did not stop lobbying the federal and Quebec governments to have that decision overturned. The extent of the company’s outreach to federal officials — which included meetings and phone calls with Clerk of the Privy Council Michael Wernick — became evident in testimony last week before the parliamentary justice committee. But little has been revealed to date about SNC-Lavalin’s parallel lobbying campaign directed at the new Quebec government. 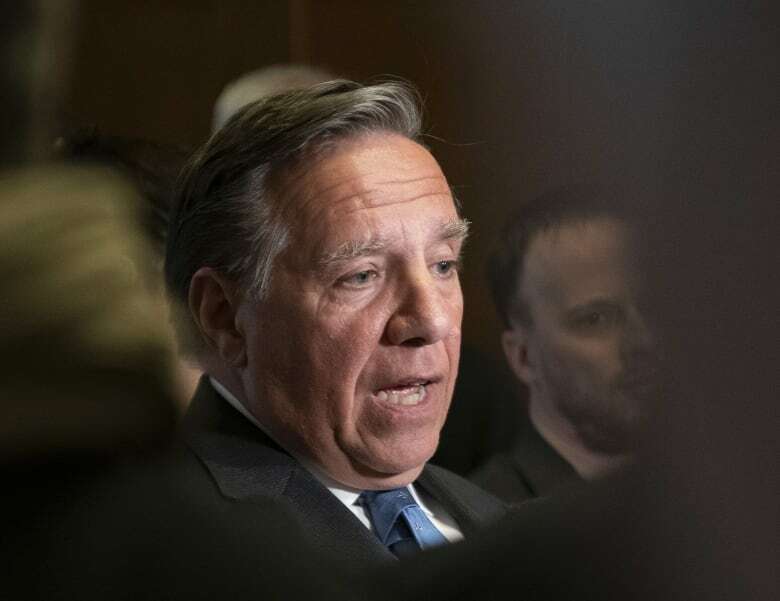 While the company was rebuffed by the provincial attorney-general, other members of the CAQ government, including Premier François Legault, were more receptive. 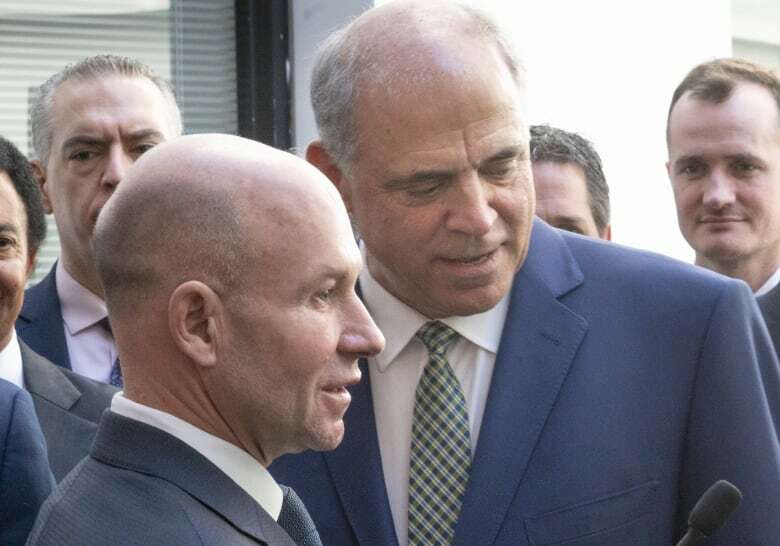 Legault met with Ryan and SNC-Lavalin’s CEO Neil Bruce on Oct. 22 at the premier’s Montreal office. A spokesperson for the premier declined to offer details of what was discussed at the meeting. The spokesperson also declined to say whether Legault raised DPAs with Trudeau. But an official in the prime minister’s office said Legault and Trudeau have at least twice discussed efforts to save jobs at the Montreal-based engineering firm. The issue came up in their first meeting at the Francophonie summit in Armenia in early October. It was raised again at a Jan. 17 meeting in Sherbrooke, Que. In his public statements, Legault has repeatedly expressed concern that prosecuting the company could weaken its value and make it vulnerable to a foreign takeover. A stated priority of his government is preventing large homegrown companies, like SNC-Lavalin, from moving their headquarters outside the province. Legault’s point person on this file is Economy Minister Pierre Fitzgibbon, who has been sharply critical of Ottawa’s reluctance to offer a DPA to SNC-Lavalin. Fitzgibbon acknowledged that, like LeBel, he was approached by SNC-Lavalin to lobby the federal government. “Of course Mr. Bruce came to see myself and others to pledge that we should encourage the federal [government] to go through a DPA,” Fitzgibbon said in an interview this week. But unlike LeBel, Fitzgibbon did speak with several federal cabinet ministers on the company’s behalf. He did so, he said, a “few times” but stopped after Wilson-Raybould resigned from cabinet last month. A spokesperson for the economy minister refused to specify which federal ministers Fitzgibbon spoke with. Quebec’s political landscape was invoked by Wernick, the federal government’s top bureaucrat, as one of the reasons he kept insisting to Wilson-Raybould that a DPA should be considered. He told the justice committee last week that “new facts” emerged after federal prosecutors told SNC-Lavalin there would be no DPA. A spokesperson for the Privy Council refused to clarify whether Wernick was referring to public statements by Quebec politicians or direct conversation. Fitzgibbon — a former board member of WSP, another Montreal-based engineering giant — has been unwavering in his belief that SNC-Lavalin deserves a DPA. “The company has done its homework, has acknowledged the fault, has remedied that fault with proper procedures with its ethics code, has changed management, and has new board membership as well,” he said. LeBel, on the other hand, has said she will not intervene in the event provincial prosecutors opted to take SNC-Lavalin to trial. The RCMP is co-operating with Crown prosecutors in Quebec as it continues to investigate a $127-million contract the company received to refurbish the Jacques-Cartier Bridge in Montreal. A federal government employee pleaded guilty in 2017 to receiving more than $2 million in bribes to help make sure SNC-Lavalin won the contract. Before joining the CAQ, LeBel came to prominence as the lead prosecutor of a wide-ranging inquiry into corruption in Quebec’s construction industry. The inquiry exposed, among other things, SNC-Lavalin’s involvement in a number of bid-rigging schemes, including in the awarding of a $1.3-billion contract to build a mega-hospital in Montreal. It was LeBel’s office that contacted CBC News about the Nov. 9 phone call from SNC-Lavalin. CBC News initially filed an access-to-information request to determine whether LeBel had ever met with SNC-Lavalin officials. When that request came up empty, LeBel’s spokesperson informed CBC News that phone calls are not disclosed under Quebec’s access-to-information legislation.